Today in Washington, Republican Rep. Michele Bachmann holds the first meeting of her new Tea Party Caucus. Bachmann says she hopes to use the caucus to educate members of Congress about the tea party movement. Political analysts say Bachmann's move will increase her profile, but could cause problems for House GOP leaders who are trying to unite Republicans going into the midterm elections. Bachmann says she's excited about her new caucus and that she's looking forward to bringing what she calls "real people" to Capitol Hill to speak out against deficit spending and promote limited government. "Congress is supposed to be about listening to our constituents, so we're hoping to have that forum where people can come and speak to us directly rather than some bureaucrat -- or someone like that -- actually listen to real people tell us about their real stories and get that information out to other members of Congress," she said. Bachmann says her caucus is about ideological principles she says are rooted in the constitution -- not partisanship. She says she hopes Democrats and Republicans will join. Tea party member Elaine Philippi of Princeton, Minn., says she's concerned about the tea party having a place on Capitol Hill. "You know the whole idea of the tea party is not to be part of Congress and it's just that that healthy divide wouldn't be there anymore," she said. Philippi is active with the Mille Lacs County Tea Party. She's also one of several state tea party coordinators. Surveys show most tea party supporters are Republicans. Philippi says she is not. She says if Bachmann is really just trying to give tea partiers a voice in Washington, that's fine. But she says she does not want Bachmann and other Republicans to strip control of the tea party movement from the "real people" who created it. "Because the tea party is made up of an awful lot of Republicans, I could see that perhaps they could be -- the tea partiers -- could be lulled into some kind of a sweetheart deal with the Republican Party," Philippi said. "Right now, the tea party wants to tell our candidates what we want and we expect them to do that." Bachmann's DFL challenger Tarryl Clark declined to comment on the new Congressional caucus. Washington University Political Scientist Steven Smith says it's unclear how popular Bachmann's Tea Party Caucus will be, although he's fairly certain Democrats won't be lining up to join. But Smith says that does not mean that Democrats aren't welcoming Bachmann's effort because of the problems her caucus could create for House Republicans. Smith says the last thing the GOP leadership needs now is dissent. He says Republican leaders are trying to unify the party to regain congressional seats the GOP lost in the last two election cycles. "The Republican leadership in the House can not like this at all," Smith said. "They want to minimize factionalism, they want to develop a consensus within their party and this effort on Bachmann's part could only at best highlight differences among Republicans." Smith says while it's not clear how powerful Bachmann's caucus might become, it's certain Bachmann's decision to create it will increase her national profile. 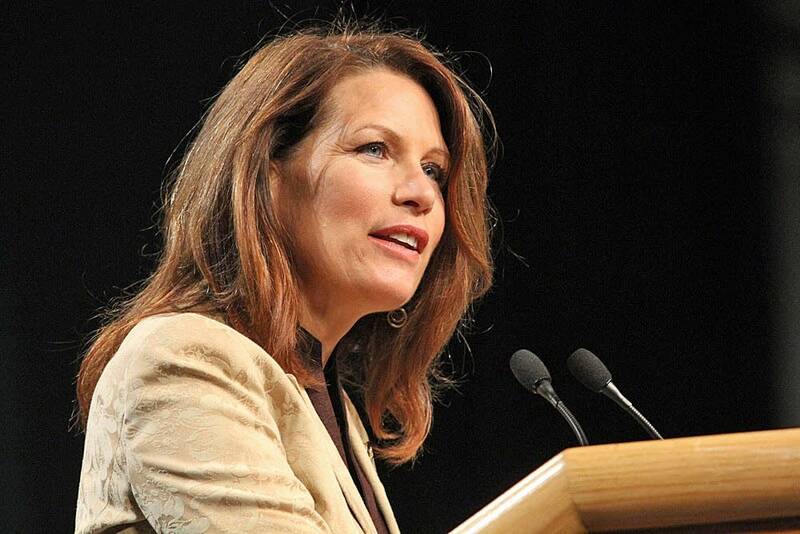 "Congresswoman Bachmann clearly wants to be recognized as the leading voice in the House of Representatives for the tea party movement," he said. "I think she hopes that her clout within the house will , and her party in the house, will increase by chairing the caucus and that her national visibility will be enhanced." Bachmann says her first Tea Party Caucus meeting will last for about an hour. After it's over she's planning to appear at a news conference.